Chelsey Austin is an artist from Melbourne, FL who entered the world of street art after being inspired by her high school's festival in 2005. 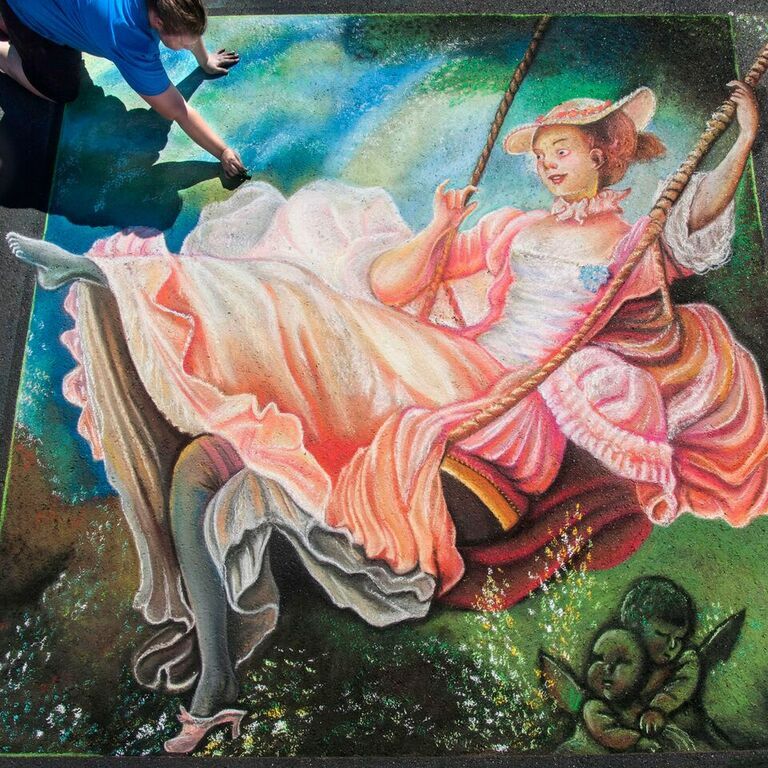 Chelsey has now been chalking professionally for the past five years as part of the Florida Chalk Artists Association. She is best known for how she plays with color and her unique freehand method. Her subject matter usually combines realism and fantasy to bring an image to life. Chelsey also works in a variety of mediums aside from chalk, always creating something new. Aside from street art, Chelsey works professionally designing sports memorabilia as well as being an owning member of the Art Gallery of Viera.